The Empire is laying siege to Batonn, but Admiral Thrawn and Eli Vanto have their sights set on the criminal known as Nightswan. 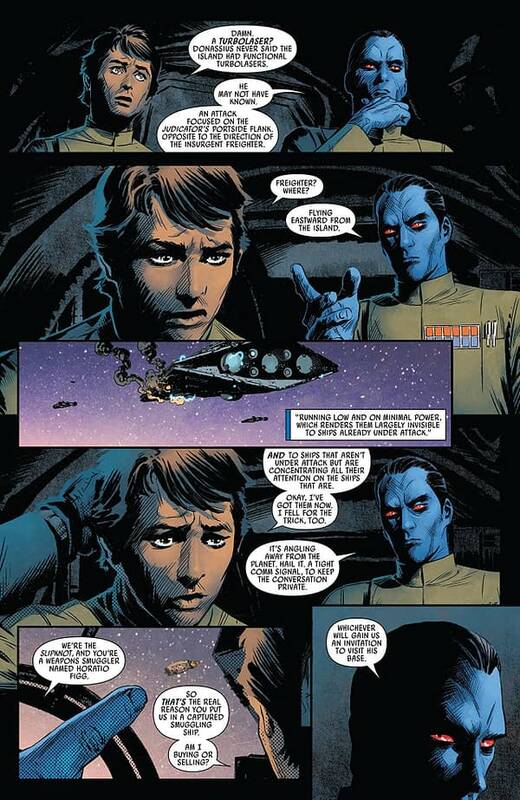 The siege goes disastrously, but Thrawn and Vanto manage to gather information on Nightswan. The admiral is put in charge of the Batonn siege, and Governor Pryce returns to provide aid in the attack, as she hopes to meet up with her parents before things turn bloody. Star Wars: Thrawn #4 continues the series’ streak of providing a compelling narrative about politics, backstabbing, and mass military action. It continues to be especially wordy while doing so, but, considering the genre, that can largely be forgiven. Thrawn and Vanto make a hell of a team, and it’s interesting watching Vanto develop while our titular lead remains largely the same. The only change for the blue alien is that his rank continues to increase with his repeated successes. That said, Nightswan may provide a slight change of pace for the admiral. Nightswan has consistently evaded a man not accustomed to failure. As such, the admiral may have become obsessed. You get the side enjoyment of watching smug Imperials being humiliated consistently to show how much better Thrawn is than all of them. That’s fun in its own way. Luke Ross continues to show his artistic prowess with a well-detailed and generally appealing art style. 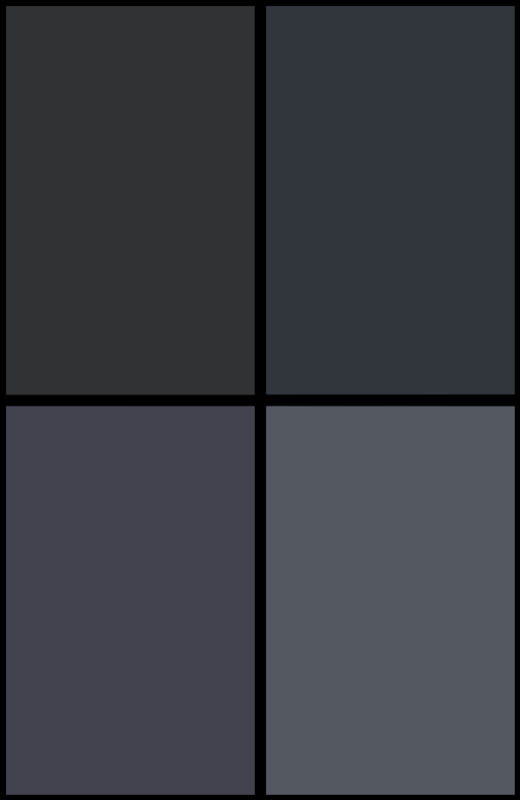 Shading is played with to give many scenes a foreboding aesthetic, and Thrawn himself continues to be striking and intimidating. 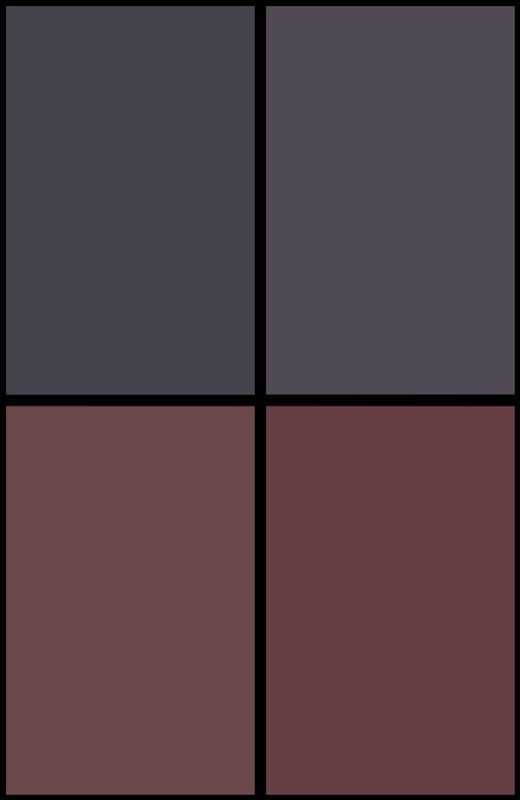 Nolan Woodard’s color art is dark and gorgeous. The electric blue given to our protagonist mixed with the bloodred eyes make for a truly alien figure. 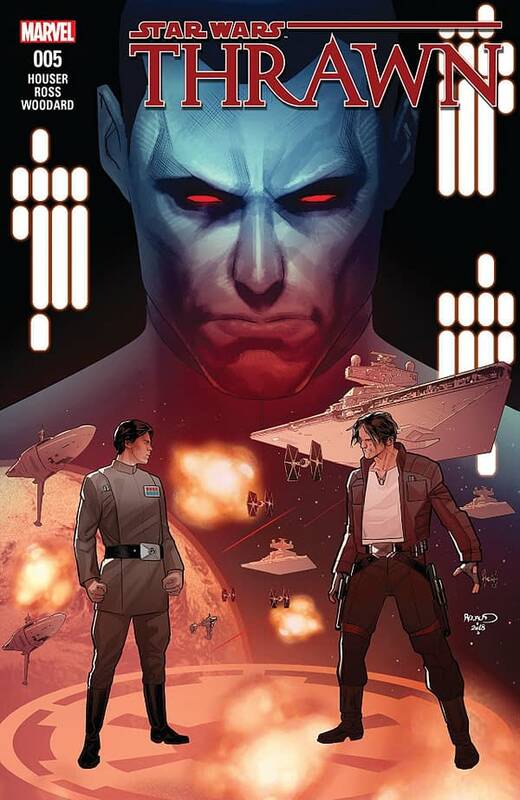 Star Wars: Thrawn #4 is another engaging comic of political intrigue and ruthlessness. The lead characters are interesting to follow, and the plot is well-constructed and presented. The art of Ross and Woodard makes for a visually grabbing read, and the comic earns itself another recommendation. Check it out.